My friend talked me into running a 5K. I've always wanted to run a 5K. I can run three miles. I used to be a pretty good soccer player and ran all the time during games. Honestly, though? I hate running. Like, I feel like it's the most boring thing I can think of doing and I'd rather be doing many other things. But, everyone does it. It's the thing to do. Running clubs and Mud Runs and Turkey Trots and all kinds of other races. Yep, I really should be a runner. The other day at the gym, I was running around the track attempting to get my three miles completed. As I was huffing along, I saw that a class was going on in the aerobics studio. The ladies in the class were doing some dancey routine and tapping sticks. 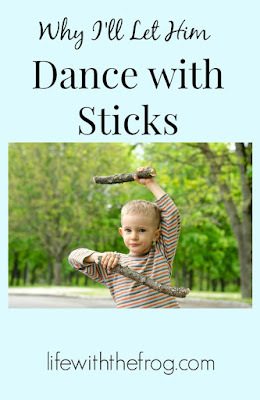 It looked like fun, and I wanted to be dancing with sticks rather than running. But I kept  running around and around. Maybe if I had different shoes or maybe if I had a better playlist on my iPod I would enjoy it more. Maybe if I just thought like the Little Engine: I think I can, I think I can, I think I can. Maybe I will learn to love it and the high will come like it's supposed to. But all I can think about is going to that class with the dancing and the sticks. 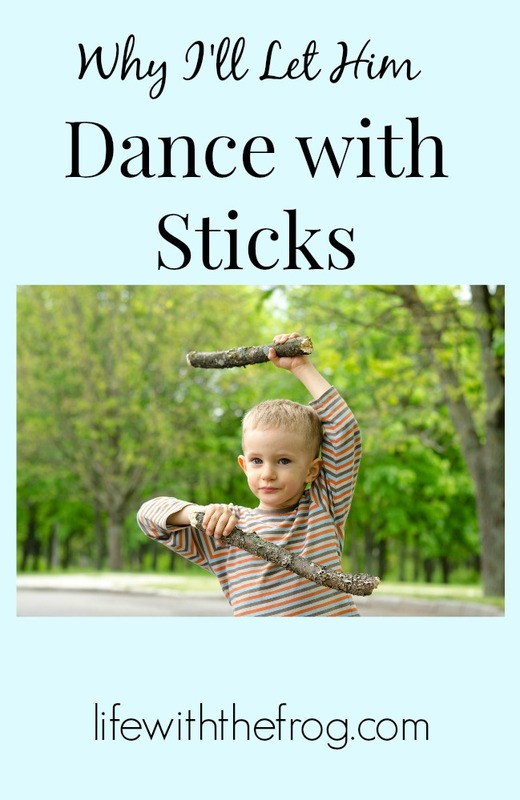 Why do I want to make myself fit something that's not for me when I would rather just dance with sticks? Maybe I wasn't meant for running; only dancing with sticks. It makes me think about Slim. It makes me think about how all his life, we've tried to make him run alongside everyone else: Be quiet. Stop pacing. Stand still. Don't talk to yourself. Talk about something other than Star Wars for a change. Act appropriately. Use proper social distance when talking to someone. You know what? Maybe he wasn't meant to run either. Maybe, grabbing sticks and dancing to the beat - or to his own beat - is what makes him the most happy. He is the happiest when he is in his own world, talking to himself, pacing, thinking about Star Wars. There's nothing wrong with that. Some people love that about him. True, some don't, but I see those people as the people who are running just because they think they should be. They think there is a certain way to approach the world that must be correct because that's how everyone else is doing it. Maybe, if we would stop running, grab some sticks, and listen to the music, we could learn to appreciate another way of doing things. Yes, every young person needs to learn how to assimilate into society - that's just the way it is. But we celebrate and encourage the special things about typically developing kids, That will make you more marketable. Yet we try to completely change what is special and unique about kids with Autism (Is this 'expected or unexpected' behavior?). Some companies are realizing that people with Autism are a huge asset to their businesses. They celebrate and value what makes them unique and extraordinary. Those who are able to work are finding more options available to them. But those whose Autism is more severe are finding a serious lack of services available to them once they reach adulthood. Even though Autism was identified almost a century ago, we have made very little progress in helping adults live, work, and thrive with Autism. 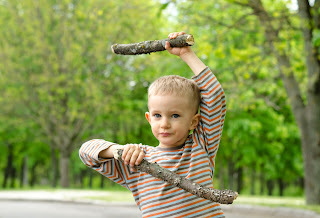 Some parents of autistic children believe that we don't need more autism awareness - we need more acceptance and action. I can understand that. Every time September rolls around, I feel the same way about promoting Children's Cancer Awareness. But I do think we need to continue promoting Autism awareness. You can read here about why I think so. The more we learn about something, the more we can figure out how to accept it, how to find answers and solutions, and how to live with, love, and appreciate those with Autism. Slim's teachers and I will still continue to guide him in skills and strategies that will help him to see his way in the world (can't every child benefit from that? ), but we're also seeing less of his behaviors as "wrong" (read about that here) and more about being the delightfully unique person he is. Let's connect on Facebook and chat.